…don’t take the title of this post the wrong way. 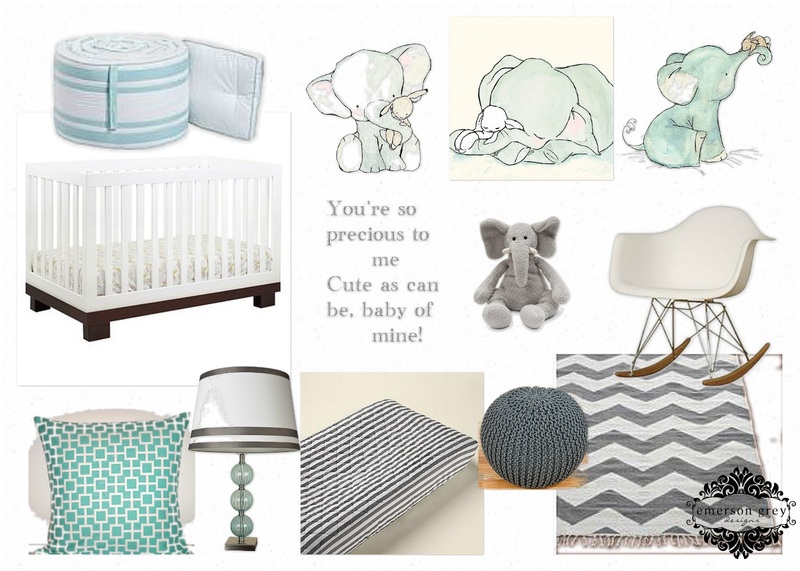 Dumbo, the movie, was my inspiration in the design of my sister’s nursery. My older sister is expecting her third child and because she already has a boy and a girl, she decided to let the gender of this baby be a surprise! So many people love this idea…I don’t. (insert big smirky, smile) My sister knows that this is slightly torturous to me, being a nursery designer, but at the same time it gave me the luxury of designing a room for her that we can continue to play with after the little babe arrives. As I do with all my clients, I don’t share purchasing information out of respect . If you are really looking for any pieces above, please feel free to email me. My sister really wanted to use aqua as her main color, it’s a new neutral in my book…we can then mix a few different options with it if it’s a girl…and if it’s a boy, we don’t have to do much. I’m not much of a themey designer, but I love the words to the “Baby Mine” song and just felt elephants would be such a sweet way to go. This is so cute!! And I'm with you…I like finding out the gender!